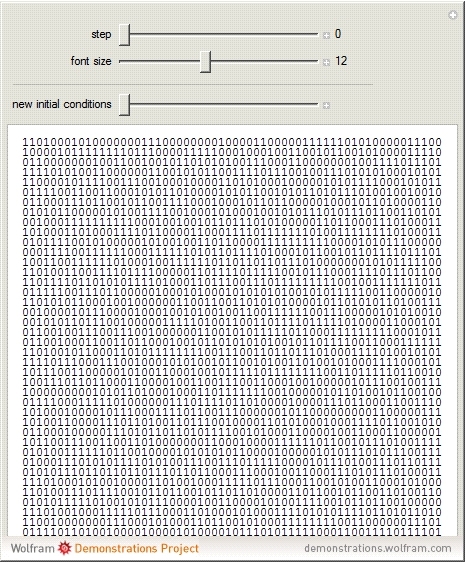 Play with this ASCII version of Conway's classic game of Life. 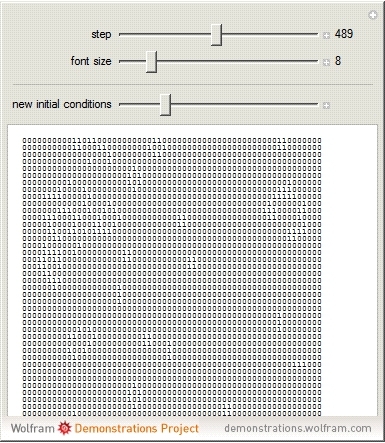 If you own a full version of Mathematica 6, you can copy part of a cellular automaton output and paste it to the right-hand side of "matrix = " in the source code to observe the automata interactions using this schematic ASCII representation. 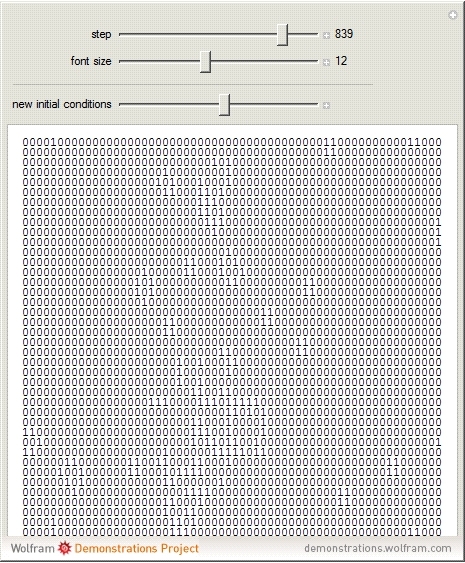 "An ASCII Game of Life"